One frozen treat maker’s loss is another’s gain. Frozen yogurt shop Fruttela has closed its Inman Park location, and Queen of Cream Cora Cotrim is set to open her first brick and mortar spot there this summer. 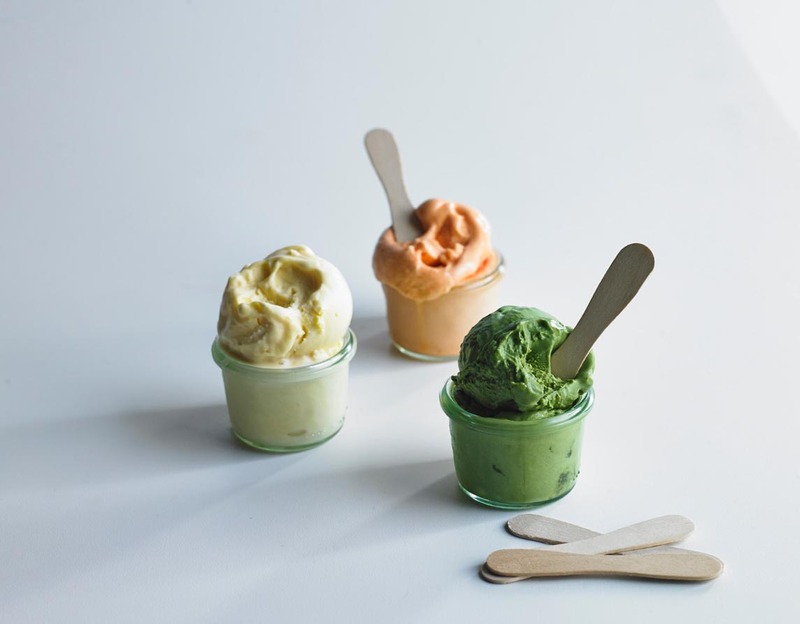 Up until now, Cotrim has sold her homemade ice creams from carts at farmers’ markets and festivals around the city. She’ll continue to do so when Queen of Cream opens at 701 Highland Avenue. However, the Inman Park location will also serve cookies, pies, and coffee. She’ll offer 14 to 16 flavors of ice cream, most of which will change seasonally and monthly. Her five “classics”—cold brew coffee with cacao nibs, cookies and cream, brown butter whiskey pecan, dark chocolate salted cookie crunch, malted milk with brownies and toffee—will almost always be available. She’ll make everything in house, including waffle cones, and toppings like cookie crunch, caramel and chocolate sauces, marshmallow fluff, caramelized pineapple bites, blueberry sauce, and brioche cubes. Other offerings will include brioche ice cream sandwiches, sundaes, seasonal pies (like strawberry and blueberry), cookies, and brownies. She’s most excited about her smores jar pie: layers of chocolate, marshmallow, and graham cracker baked in a jar. Everything will be available a la mode. Queen of Cream will also have a full coffee program featuring Revelator Coffee (based out of New Orleans). There will be espresso and iced coffee drinks using ice cream instead of ice, “so it feels decadent,” Cotrim says. She plans to remodel the Fruttela space and simplify the décor to a more minimalistic look with subway tile, light oak, and white bricks with select pops of yellow. There will be a window to the kitchen so people can watch the ice cream makers at work, and 25 to 35 seats inside, plus a patio.